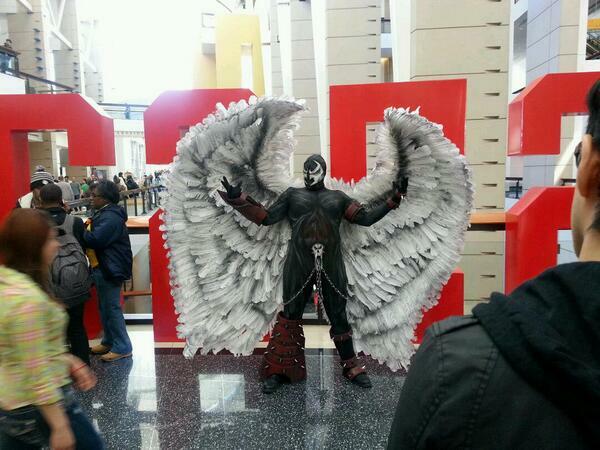 #C2E2 2014: 10 Fantastic Costumes from Day 2 #cosplay « Adafruit Industries – Makers, hackers, artists, designers and engineers! 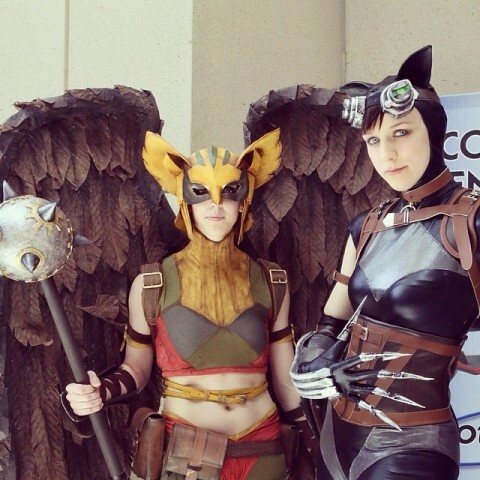 Hawkwoman and Catwoman, photo by @patloika. 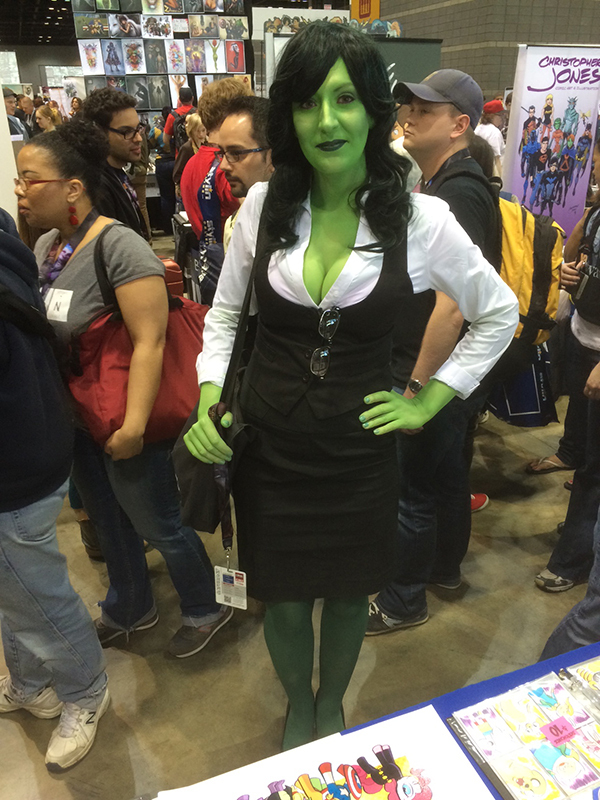 She-Hulk in her lawyering outfit – she did a great job with the green makeup! Photo by @loveandcapes. 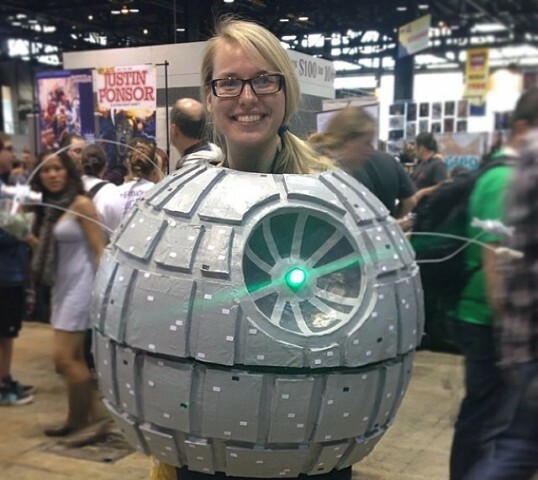 Death Star, photo by @dustinzick. 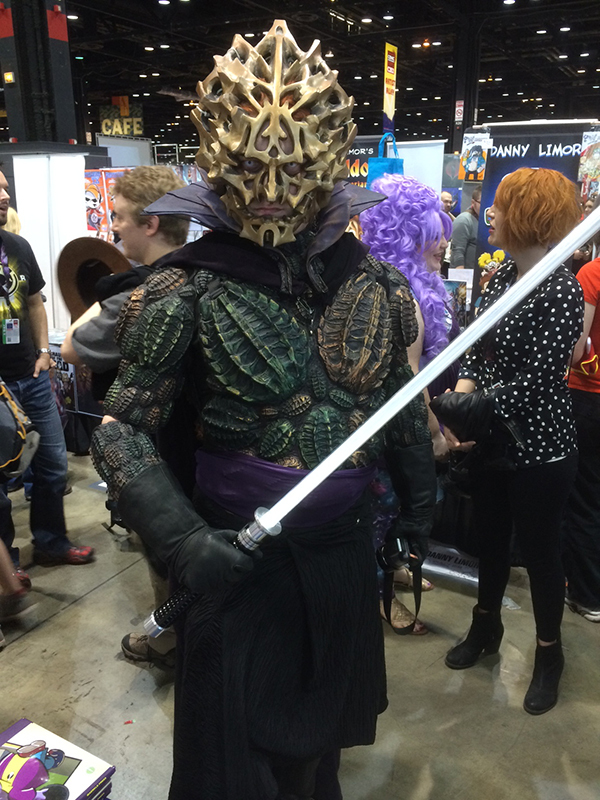 Darth Bane, photo by @loveandcapes. 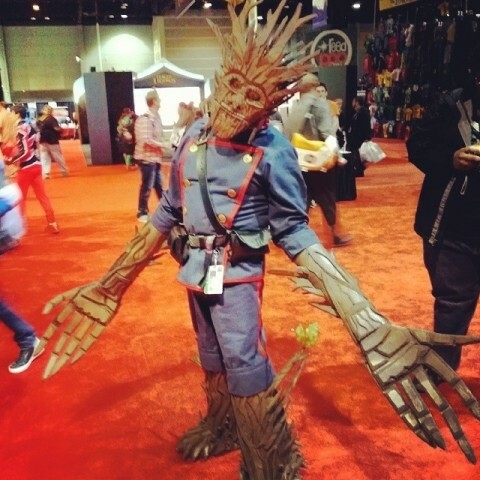 I actually don’t recognize this costume, but I’m impressed. 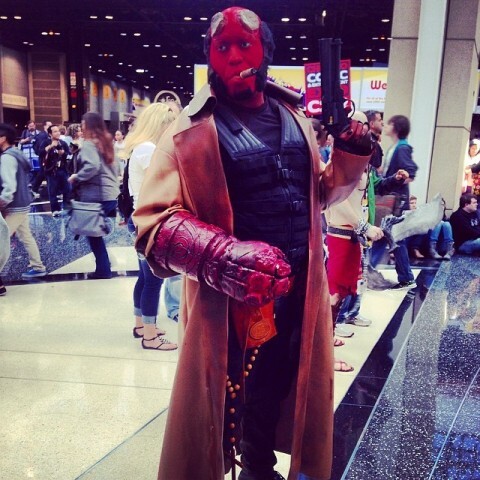 Anyone recognize the character? Photo by @loveandcapes. 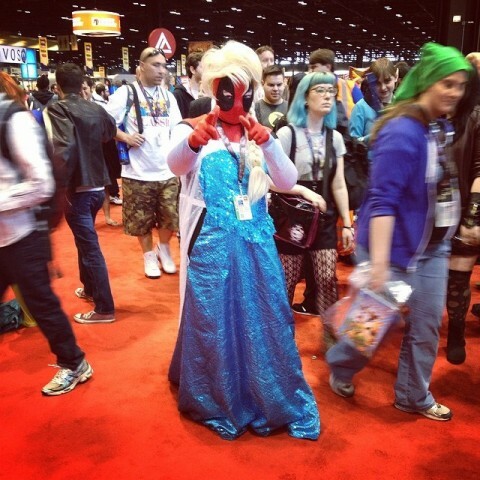 Deadpool as Elsa, photo by Eric Smith. Walker from The Walking Dead, photo by @davidjdeal. 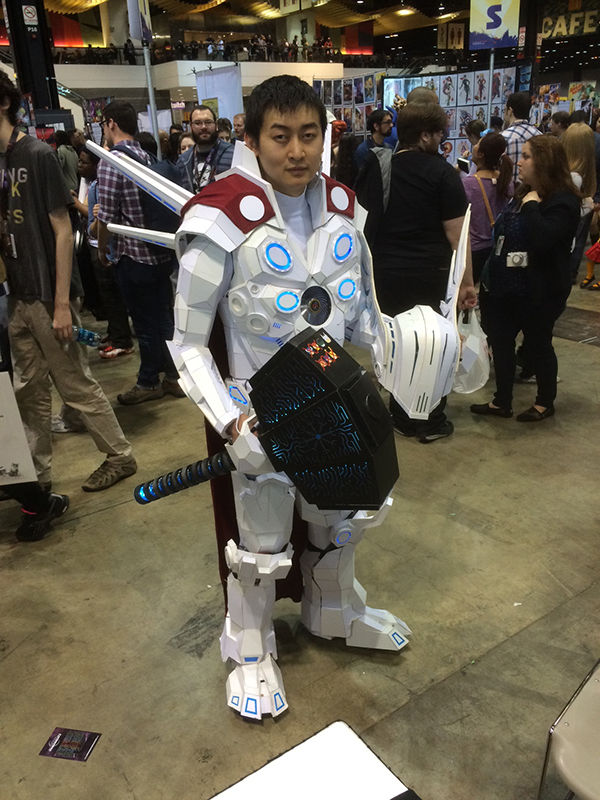 Don’t forget to check out costumes from day one of the convention! 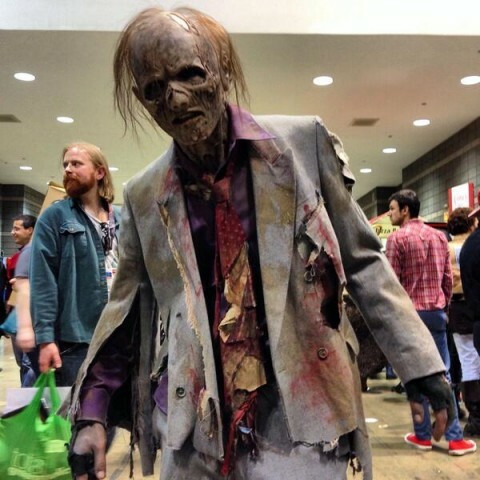 Thank you for posting my photo of the walker. I was impressed that he did not break character the entire time as he staggered around and lurched like a zombie. By the way, the walker responded to my Instagram post: his name is Steven Lindblom, http://instagram.com/sasquatchz. Well done, Steven.